There was a tonne of trailers this week which the gang take a look at including Hellboy, Xmen, Detective Pikachu, Stockholm, Shazam, Lion King, Brightburn and Game of Thrones. That is followed by the news and then the Was it that Bad review of Breaking In. The usual segments follow with the MCU conspiracy corner, Willow in homework time and the Quiz. 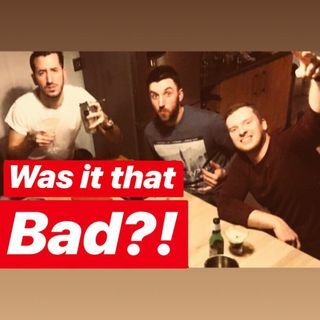 Before our resident barmen gives us our movie themed cocktail we discuss what we have watched which includes The Orville, Sam Warburton's ... Maggiori informazioni documentary, the Accountant and True Detective.